The second day of the conference (October 25) starts with four parallel activity streams – three streams take place at the Tallinn University of Technology (TTÜ) and the fourth stream is a chance to gain real insight into selected Estonian companies. During the visit you will get an overview of a company and tour in its production, facilities etc. 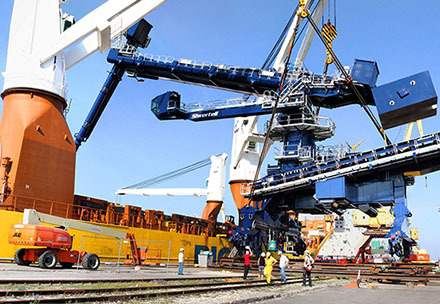 BLRT Grupp – one of the largest industrial corporations in the Baltic Sea region acting in the field of heavy machinery and ship-building. Ericsson Estonia Supply Site – one of the company’s largest manufacturing units, including volume production and R&D related activities. KARL STORZ Video Endoscopy Estonia – a production facility specializing in video endoscopes, their components and endoscope repair. Saku Metall Allhanke Tehas – an Estonian company with more than 25 years’ experience in the metal processing industry. Saku Õlletehas (Saku Brewery) – a modern and rapidly growing beverage producer with a rich history going back almost 200 years. Tallinn University of Technology – a modern university of technology, whose strength lies in the synergy between technological, natural, exact, social and health sciences. Each company can host a maximum of 30 people and only registered conference participants can take part. To take part in a Site visit, please choose the company that interests you the most and register for the visit as a participant HERE.